After what feels like the longest month in the history of the world, it's finally the last day of January, which also means it's the last day of Veganuary for me! 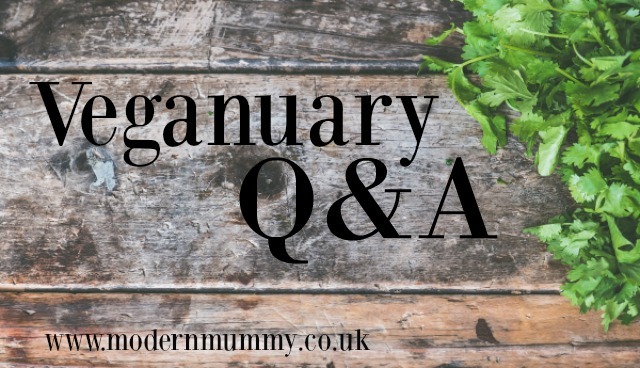 I've been asked so many questions about taking part in Veganuary over on Instagram, so I thought it would be a good idea to answer them all in one blog post. The most common questions were how are you finding it? how are you feeling? have you lost any weight? and what non-vegan food are you going to treat yourself to on 1st February? I have to say I found the transition much easier than I thought I would; 'going vegan' sounds a lot scarier than it actually is. But in reality, aside from the odd festive cheeseboard and spoonful of nutella, my diet is usually dairy free anyway - and I've not eaten chicken since we brought the hens home. As a family we eat a lot of plant based meals so, really, it was just a case of cutting out red meat and fish for me. I've cooked from scratch a LOT this month (more on that later) which has been quite time consuming, but fun none-the-less. Being vegan involves a lot of label reading if you're buying ready made/pre-packaged food. This past month I've learnt that there is egg in literally EVERYTHING! I've not once felt hungry, or like I'm missing out on anything. I've had pizza, chocolate, ice cream. There are so many vegan options in mainstream supermarkets these days - vegans definitely aren't deprived! Veganuary was massive this year (more than 150,000 people took part I think?) and a lot of restaurants and pubs jumped on the bandwagon so eating out wasn't a problem either. I just hope all these vegan menus are going to be permanent fixtures as the food truly is incredible! I've felt pretty darn good from day one. I joined a few vegan Facebook groups at the beginning of January and saw a lot of posts over the following days where other people taking part in Veganuary felt truly terrible. The general consensus was that their bodies were going through some sort of withdrawal which was something I didn't suffer from at all, probably because it wasn't such a massive change for me. Two quite noticeable differences I did become aware of were that I found getting up in the mornings much easier (usually I'm a grumpy mare in the mornings) - but I felt tired a lot earlier in the evenings when I'd normally binge on Netflix until at least midnight. I'd have gone to bed at 9pm most nights if I'd been able to. Have you lost any weight? The honest truth is I don't know. I didn't take part in Veganuary to lose weight so I didn't weigh myself before I started (and I haven't now that I've finished either - I don't have scales at home). My clothes are a little looser though, so I think I may have lost a few pounds over the course of the past month. What non-vegan food are you going to treat yourself to on 1st February? Whenever I've dieted, or gone on a juice fast or detox before, I've always treated myself to a blow out meal once I've reached my goal, or got to the end of the programme. But there hasn't been one single instance over the last month when I've not been able to eat something I really fancied so I don't feel as if I need to 'reward' myself with anything this time around. I'll hold my hands up now: I'm not going to stay vegan, the main reason being that I don't want to give up eggs forever. My backyard hens have been the topic of a few heated debates with full time vegans over the past few weeks. I am completely against the egg industry and will never buy eggs from a supermarket again (labels like 'free range', and 'happy' mean absolutely nothing - unless you know where your eggs have come from you'll never know whether they're either of those things) but we rescued our hens from slaughter and know that they are now enjoying their retirement with us (they are spoilt rotten!!) so I personally have no problem eating their eggs. I fully accept that even if I carry on being predominantly plant based but eating eggs I will not be 'vegan' as an egg is still the product of an animal. And that's fine with me! I think I will eventually go back to fish as well and, although I have no plans to at the moment, I'd never say 'I'll never eat meat again'. Being vegan for a month has opened my eyes considerably. I've watched some harrowing documentaries and am very conscious about animal welfare now, and I most definitely want to know where my food has come from before I buy and eat it. My days of buying cheap meat from supermarkets were over before I started Veganuary, but now I will only ever buy meat from my local farm shop (if I buy it at all). The thing I've enjoyed most about the past month is the fact I've learnt loads of new recipes. I basically prepared a main vegan meal every evening and added dairy rich sides for the kids. At the beginning of my Veganuary I was cooking two separate meals; a recipe from my usual repertoire for them and then a single portion of a vegan dish for myself later on - but they were inquisitive and wanted to try the new things that I was eating. 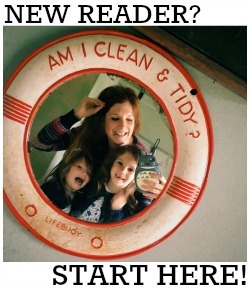 As a result we have now added loads of new meals to add to our weeknight menus which is most definitely a good thing. Like I said; I'm in no rush to go out and binge on meat and other animal products but my current feeling is never say never. I'll let you know how I get on.